Melissa S. Hersh brings 20 years of experience operating at the nexus of commercial and public sector policy and operations. Her areas of expertise include: global public health and biosecurity, Unmanned Systems (drones), disaster preparedness and response, and nuclear energy. As a noted risk expert, Ms. Hersh regularly advises governments, IGOs and Fortune 500 companies on risk across a variety of sectors. 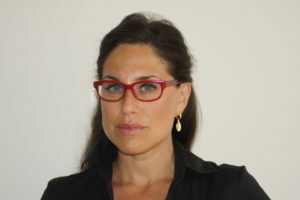 She comes to the Stimson Center while serving as the Principal of Hersh Consulting, LLC, a boutique risk consultancy based in Washington, DC advising clients in aerospace, defense, and security, nuclear energy and extractives, transport and logistics and global health issues including CBRNE. She previously held the position as Vice President of Supply Risk Management at Marsh Risk Consulting where she was responsible for helping global clients minimize their risk exposure and optimize strategic partnerships and opportunities. Before that she worked as a technical expert for the UN and the WHO on health security and CBRNE issues. She has also been a researcher and consultant to various international think-tanks including the Stockholm International Peace Research Institute (SIPRI) and Center for Strategic and International Studies (CSIS). Ms. Hersh is often asked to provide testimony, to chair, moderate and speak on panels on her areas of expertise in countries such as US, UK, Australia, South Korea, Sweden, Belgium, Switzerland, Jordan, UAE – most recently at the 2015 GEOINT Symposium and the Blue Ribbon Study Panel on Biodefense. Mel is a Truman National Security Fellow and a Non-Resident Fellow at the Stimson Center. She frequently contributes with articles to publications such as The National Interest, Defense News, Defense One, European Energy Review, The Hill, The Diplomat and Hürriyet. She was educated at The London School of Hygiene & Tropical Medicine, The Medical College of Wisconsin, and Skidmore College.